and “Expecting the Unexpected” in every single property. My passion for houses began with my family’s love of old homes. Growing up in Baltimore, Maryland, we were among the first to buy the $1 row homes offered in what was then the derelict Inner Harbor. To our $1 purchase we had to bring extra investment, construction and engineering expertise, and of course, a lot of sweat equity. My earliest construction experiences are now a permanent part of Baltimore’s exclusive Federal Hill neighborhood. My wife and I have continued that passion, renovating houses in other historic neighborhoods, including waterfront property just outside of Annapolis and restoring a 100-year-old Craftsman Four-Square on the National Register of Historic Places. Most recently, we brought new life to what is our family home, which had fallen into disrepair, here in Sarasota. Throughout my professional years, I’ve been drawn to details. I began my career as a Spacecraft Analyst at NASA’s Goddard Space Flight Center, and then served for 13 years as a Pastor of several Lutheran congregations. Perhaps it was NASA’s motto “Conscious Expectation of the Unexpected” that first inspired me to always look farther, look deeper. Even now, as a home inspector, I strive to “Expect the Unexpected” in each property. I abide by the FABI Standards of Practice and Code of Ethics, which are considered the most stringent among the professional home inspection associations. 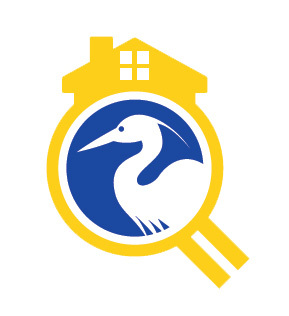 If you honor Blue Heron Home Inspections with the opportunity to complete an inspection for you, we will strive to provide you with expert information and services worthy of your trust in our efforts.